Come worship with us Sundays at 9am! There is a scam currently going around that is targeting churches and church members. The scammers pretend to be the pastor or the church office. These scammers then ask church members to purchase gift cards from services like iTunes or Amazon and send them the information. Please know that Messiah Lutheran Church will never ask you to purchase anything over the phone or email, or ask for your critical information. Be aware and be safe! Want to know what is happening here at Messiah? Visit our Coming Up! page to find out. As you know, we have been taking pictures at worship services, cross gen activities, and other events at Messiah. Sometimes we post those pictures on our Website and also on our Facebook page. If you do not want your picture to appear in any of our media venues, please let Pastor Melody or Donna (in the church office) know. 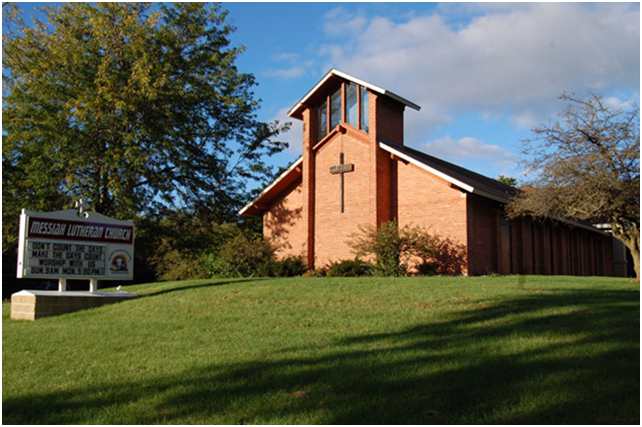 The Messiah Retrospective is the place to remember some past events at Messiah Lutheran Church. You can click the link above to check it out, or click the link below to view a specific recent event! The Book Hub is the place to go for book and reading recommendations from Messiah's community. We will have posts here talking about book on faith and Jesus, but we encourage you to try joing the conversation here if you want to discuss or have a book you'd like to share! Click here for the March issue of Messiah's Newsletter! Click here for the April issue of Messiah's Newsletter! Click here for the May issue of Messiah's Newsletter!